Multi-million pound works to give The Arnewood School a major re-fit is underway. 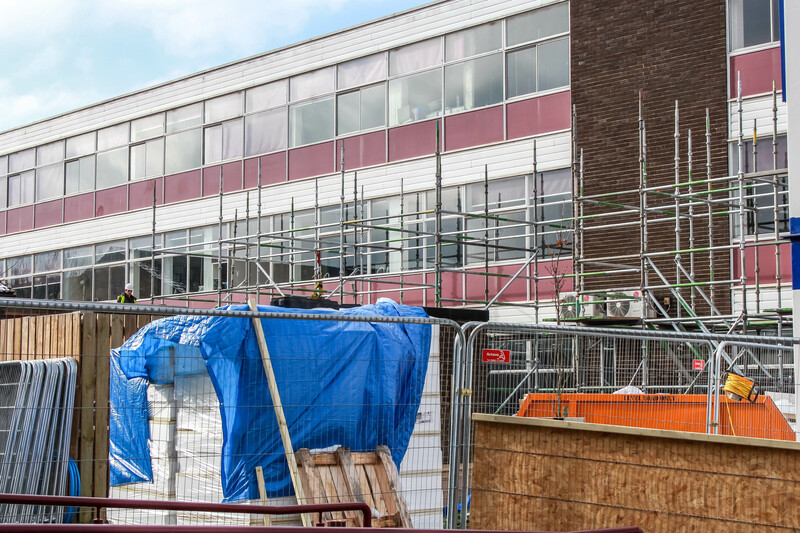 The school’s Scola building is undergoing a £2.5million overhaul to vastly improve its look and environmental performance. Construction students from the school helped to signal the start of the works during a special ceremony, in which they got to take a hammer to the soon-to-be-replaced brickwork. Head Teacher, Nigel Pressnell said, “We are all incredibly excited about this work as it will make a huge difference to the appearance and function of our school. The building improvements have been made possible after Arnewood successfully secured a Condition Improvement grant from the government. This funding will see the current 1970s building stripped bare apart from its main structural walls and replaced with an improved, more environmentally friendly façade, ceiling and windows. 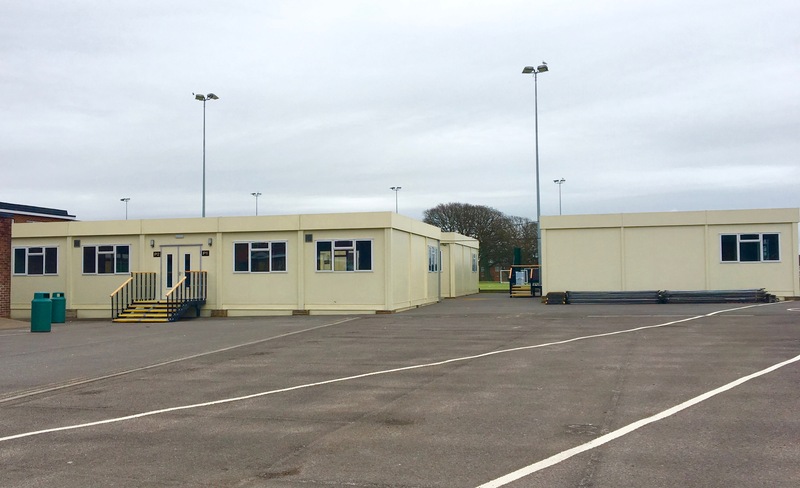 Temporary classrooms have been in place since February to enable the vacation of the current building. Scaffolding went up this week and phase one of the works is underway on the Gore Road end of the building, which includes re-cladding the exterior and installing new windows. Phase two will see a re-clad and re-fit of the other end of the building and will get underway after the summer holidays and is due to be completed in December. The works will also include improvements to the interior decoration and the refurbishment of one of the science labs. Phase one is due for completion in the summer when that part of the building will be returned to the school. In July the refurbishment of the main reception will also get underway and due for completion by September. As part of the renovation everything will be replaced, including the ceiling, windows and carpets. The improvements will result in the building being warmer in the winter and cooler in the summer. Students are expected to fully occupy the new building by Spring 2019.